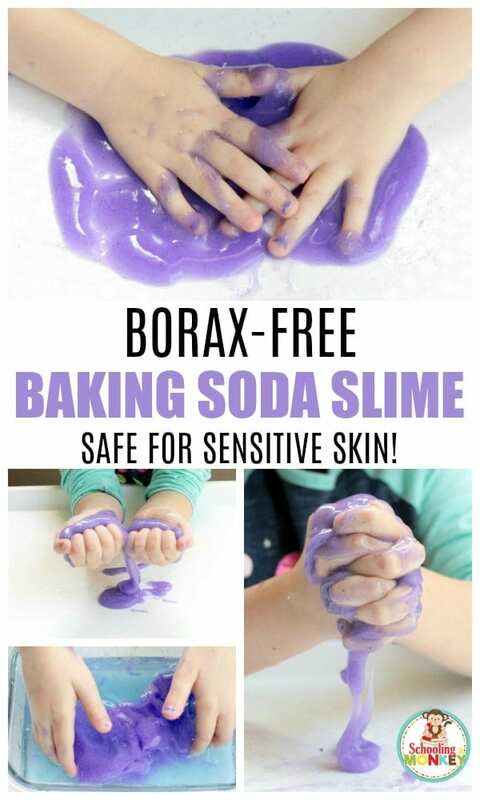 Do your kids love slime? 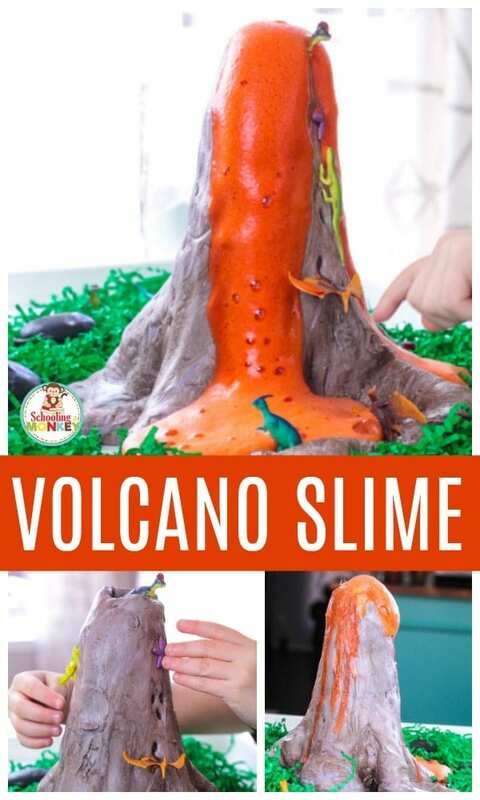 My kids cannot get enough of slime, and they ask to make it almost every day. 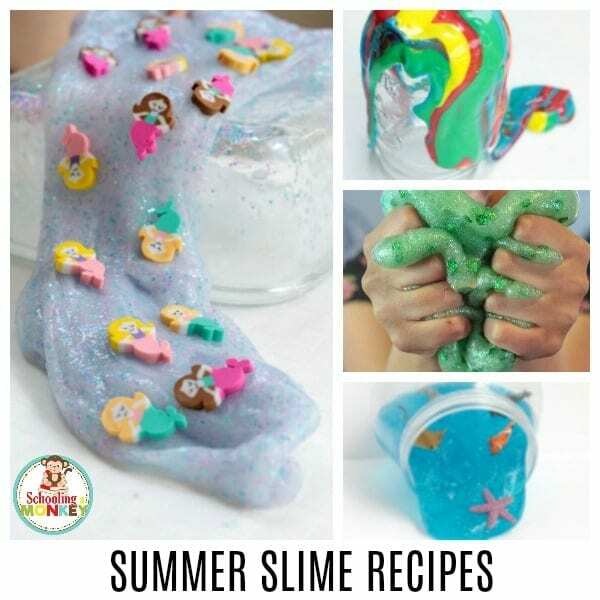 During the summer, we like these fun summer slime recipes! 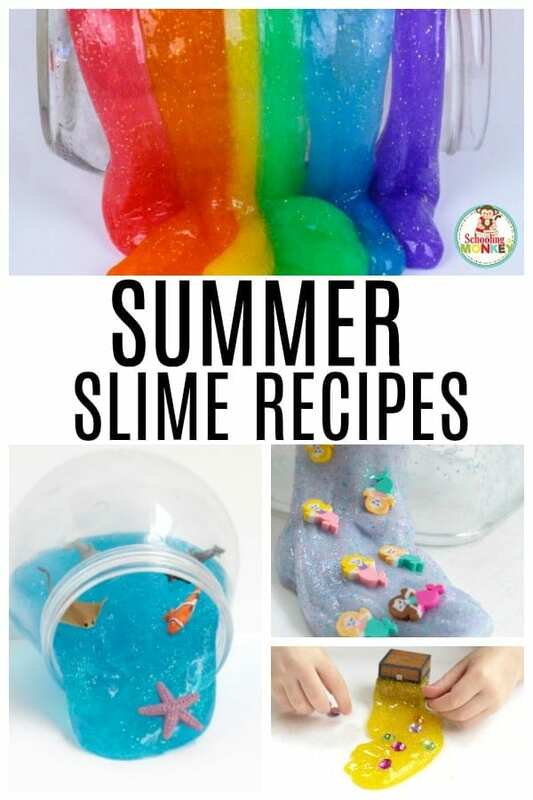 Summer is the perfect time to break out the fun slime recipes, because kids are off of school and there is more time to play. 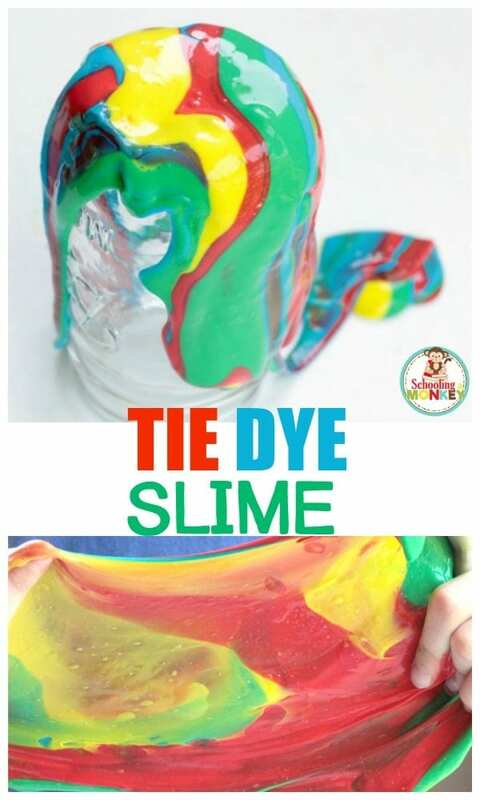 I love making slime with my kids because making slime is a wonderful screen-free activity for kids, and they love being creative and transforming everyday craft supplies into sticky, oozy slime. 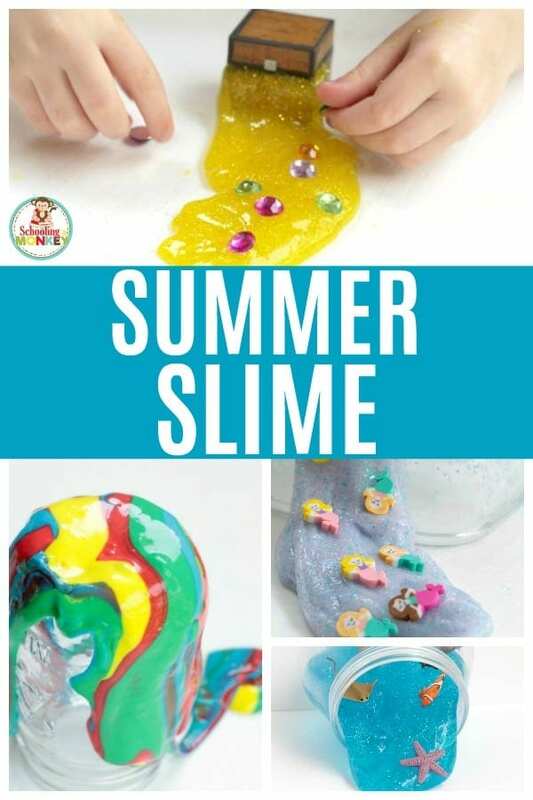 There are so many fun summer slime recipes to make! Add these slime recipes for summer to your summer bucket lists. 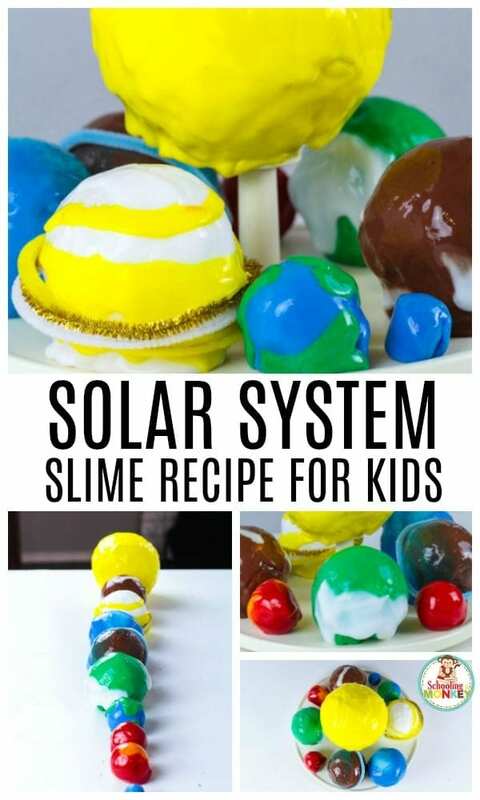 Make these slime recipes for summer and have a blast with your kids over the summer! Want more slime? Host a complete Slime Summer Camp! 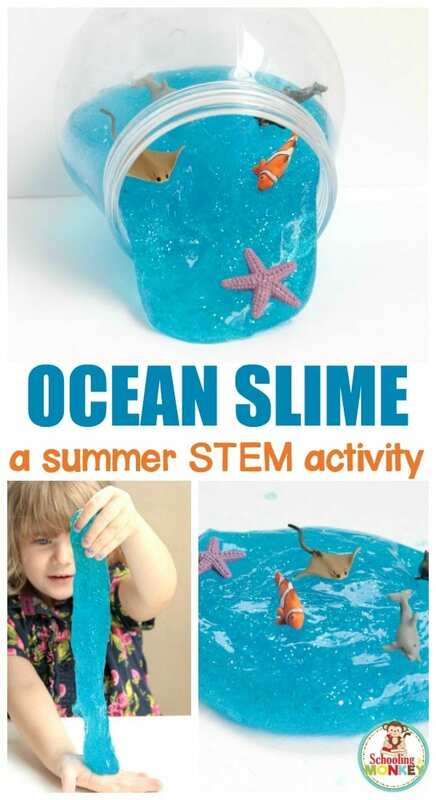 WHAT ARE SUMMER SLIME RECIPES? 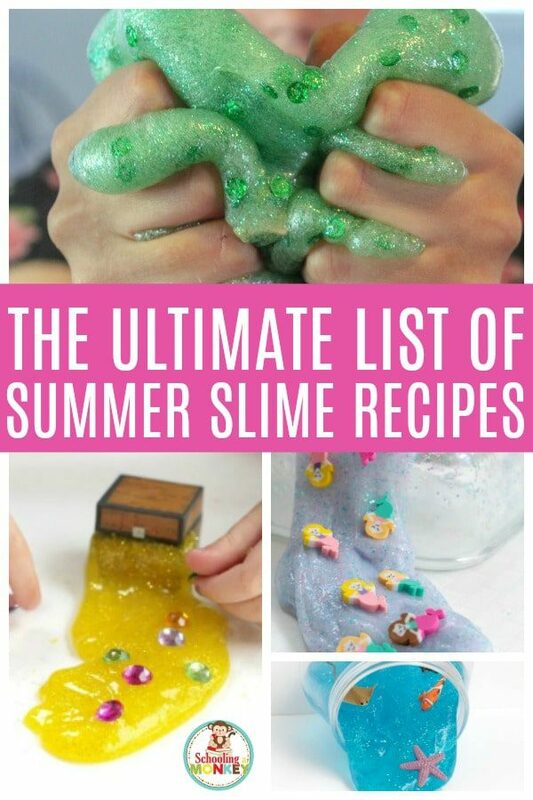 Find the full list of summer slime recipes below! 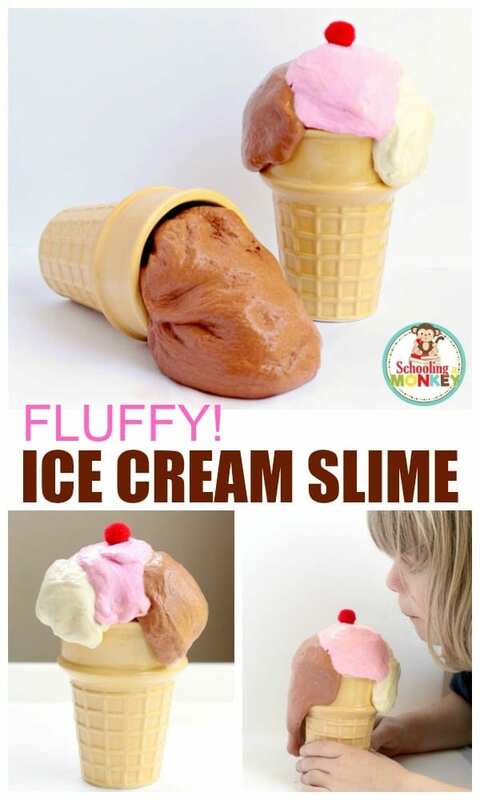 WHY MAKE SUMMER SLIME RECIPES? There are 101 reasons to make slime, but one big one not to. The big reason NOT to make slime is that it can be messy. However, I think the benefits far outweigh the mess! 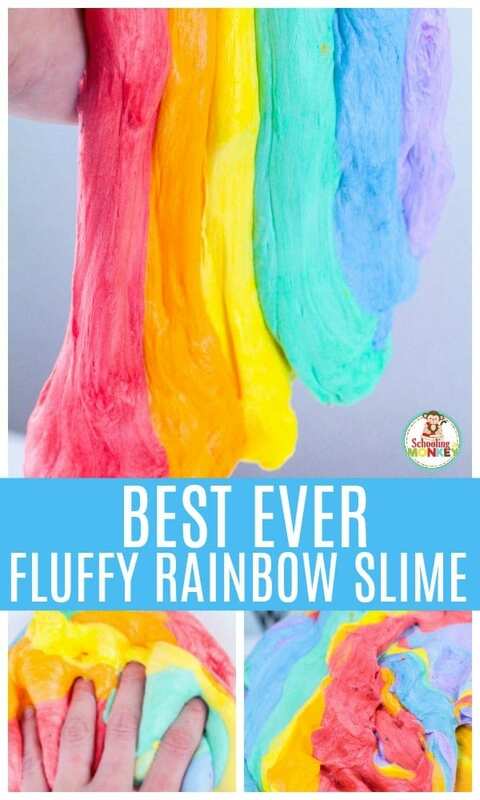 And, there are plenty of low-mess slime recipes that you can do if you’re really not wanting things to be a mess when making slime. It gives you something to do at home with kids that’s fun for all of you! Whatever your reason for making slime, we have all the recipes for slime you’ll need to make your slime making experience epic! 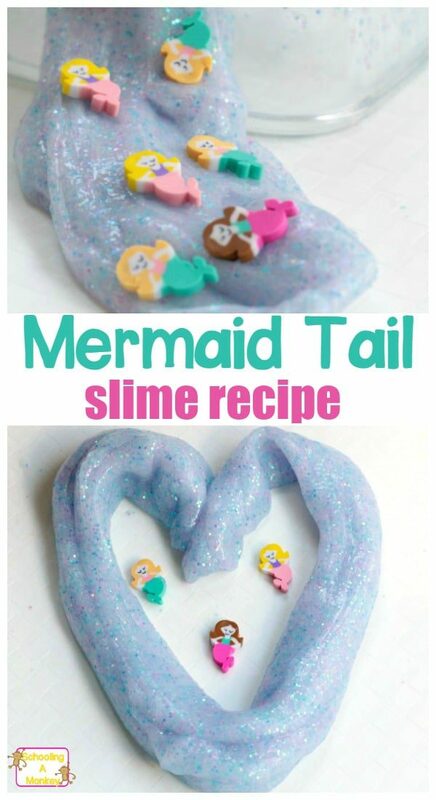 Slime is easier to make when you use our slime troubleshooting printable! 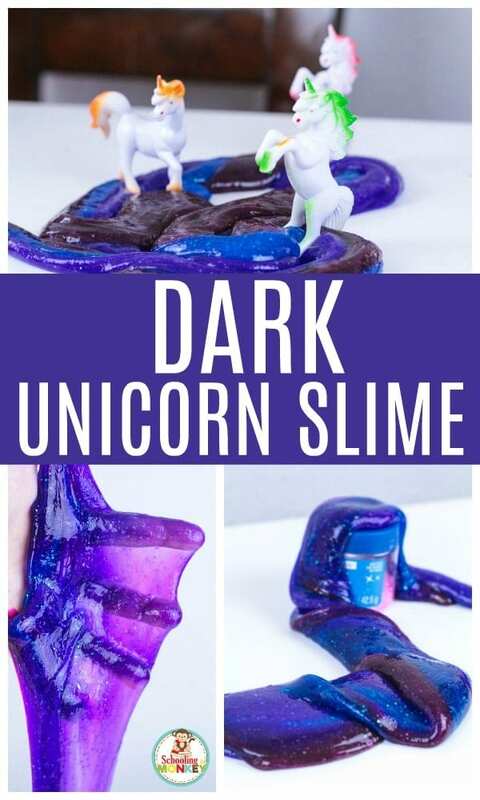 There are a million ways to make slime, and part of the fun is how much variation there is to try! All slime will need a base (PVA glue is usually used) and a chemical reactor that will thicken the slime. We’ve made slime from soap, glue, sugar, xanthan gum, and cornstarch, but you can make it from almost anything! 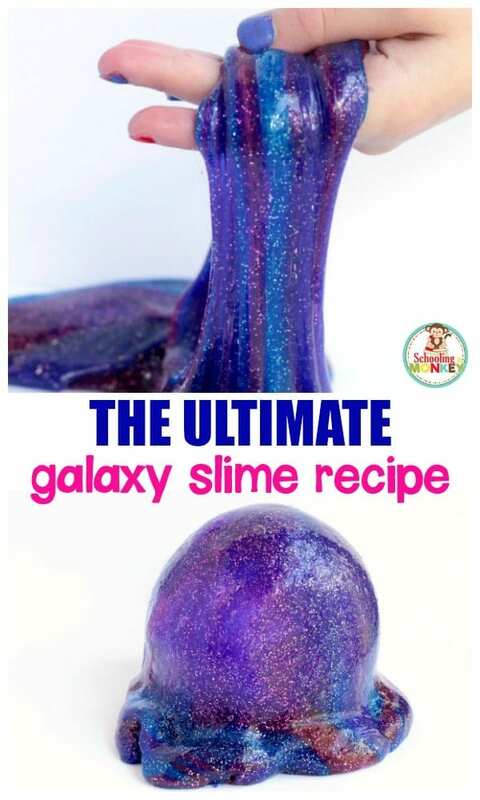 Experiment with different materials and ratios to make a slime that is unique to you! Slime forms when the two materials mix and create a chemical bond known as a polymer chain. This is a stretchy substance that is fun to play with! 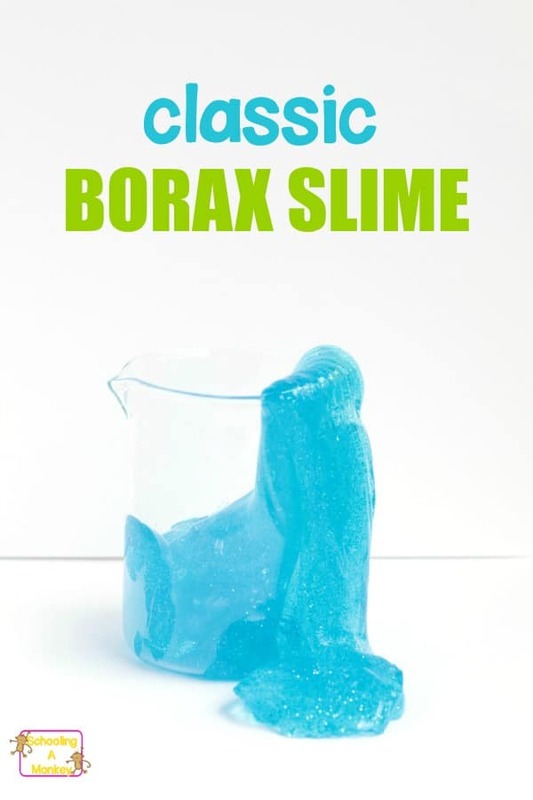 Our favorite slime uses a mixture of laundry starch and PVA glue. 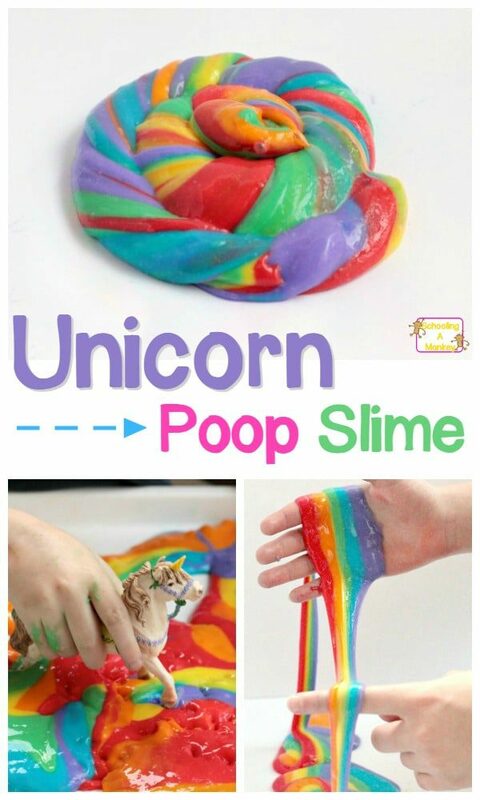 You can find the recipe for that in our unicorn poop slime post. 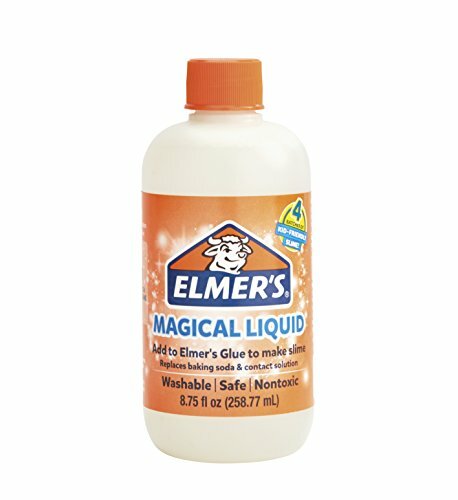 Elmer’s glue also has a new magic slime liquid, that is even easier to use than laundry starch. 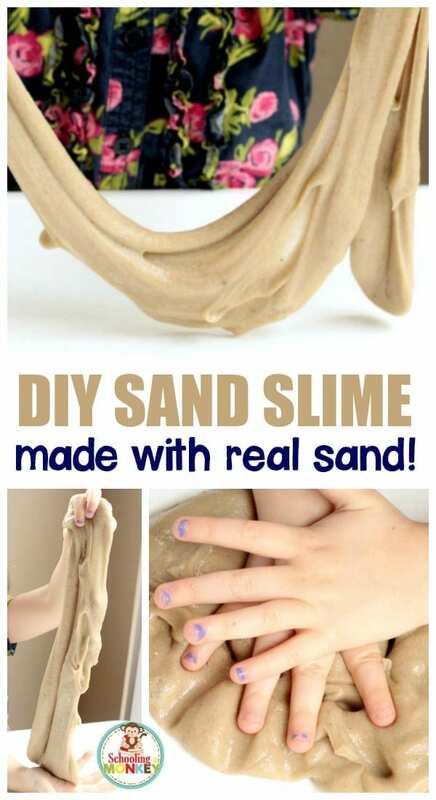 It makes beautiful slime and you don’t even need to use water! 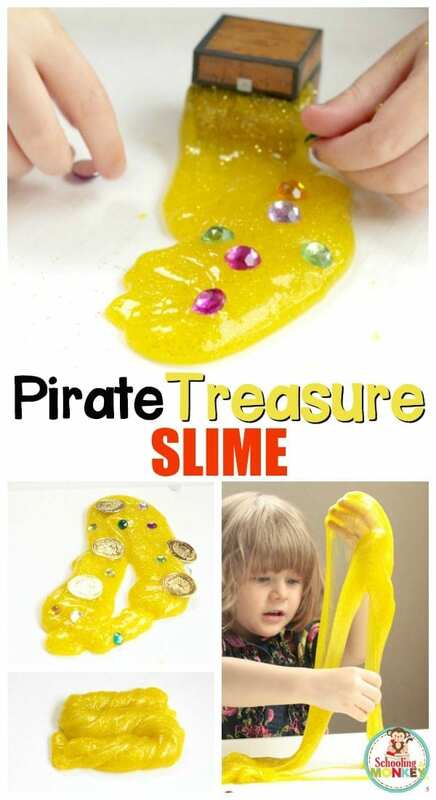 Get the Slime Made Easy Book! 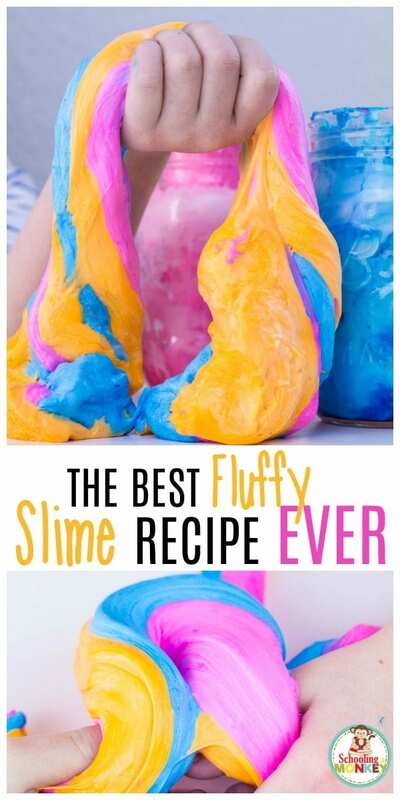 Everything you need to know about making perfect slime recipes every time and becoming a slime expert can be found in the Slime Made Easy book. When making slime, we like to use a ratio of 1 part water, 1 part laundry starch, and 1 part glue. Our slime comes out perfect every single time! 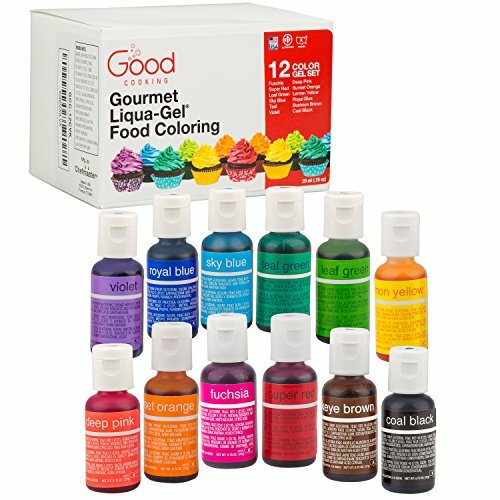 We like to use gel food colors because they create vibrant colors that really pop! 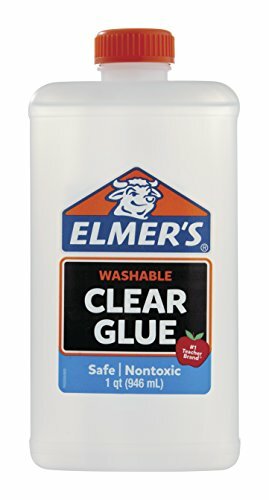 Can’t find glue? Get a complete ready-to-go slime kit! 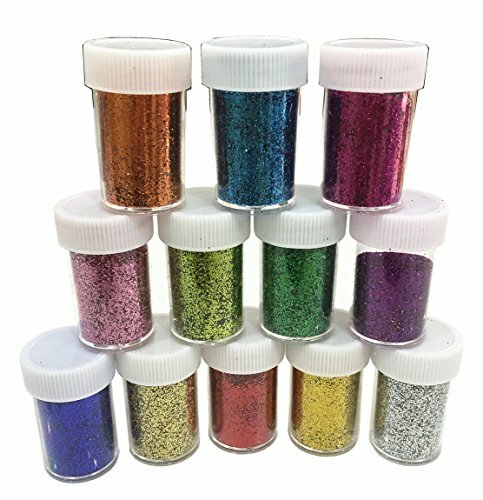 The secret to making perfect slime is mixing the coloring, glitter, and glue first. Then you can add your magic slime liquid or laundry starch. What we love about the magic slime liquid is that it doesn’t take water! 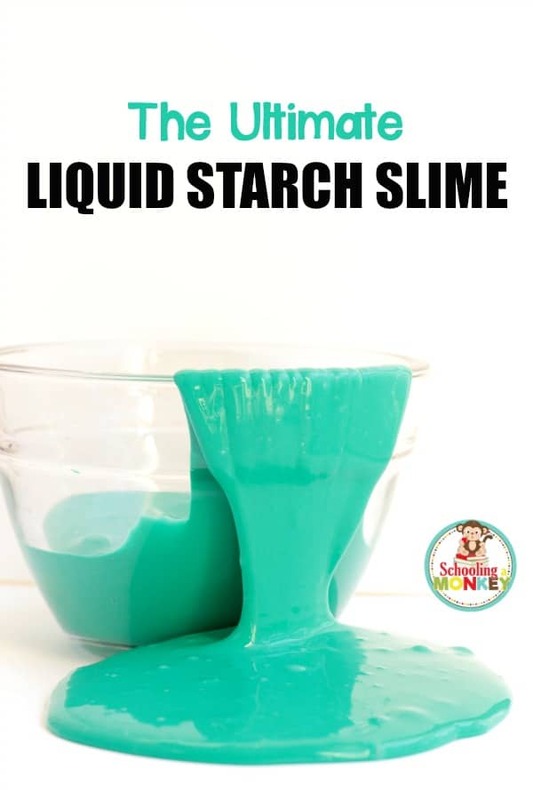 But, if you’re making a big recipe of slime, then you will want to use laundry starch because the magical activator is more expensive. 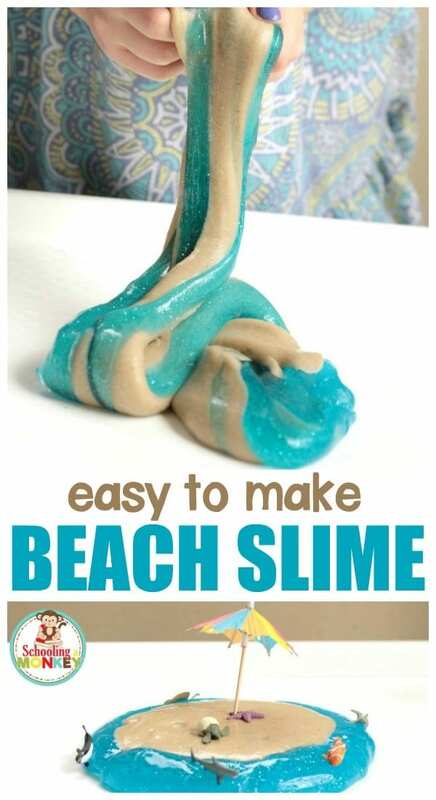 Try these fun slime recipes for summer and make your summer slimetastic this year! 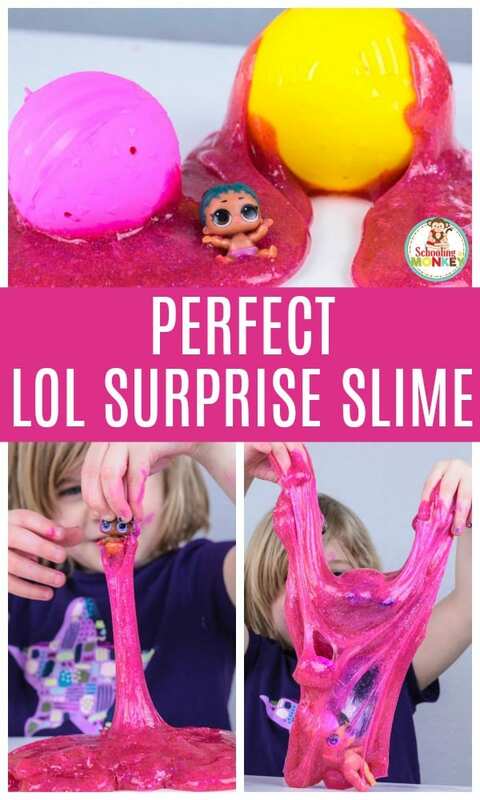 So many fun slime themes that kids will love! 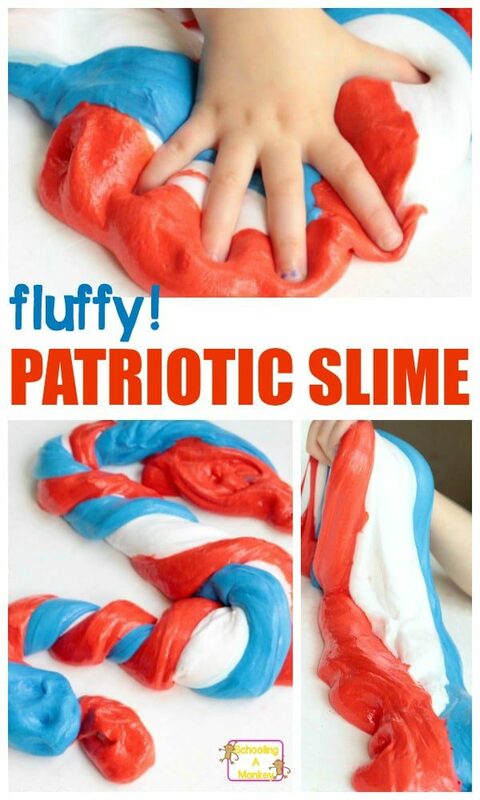 If your kids have been asking to make slime, now is the time to let them! You’ll have fun making summer memories that are screen-free and you can do them together with your kids. You can even learn a bit of science at the same time.